FIBARO Relay Switch is designed to be installed in standard wall switch boxes or anywhere else where it is necessary to control an electric device drawing up to 2500W. Switch connected to the S1 terminal is a master switch. 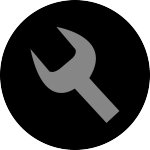 It activates the basic functionality of the device (turning on/off) and starts the learning mode (Add/Remove). The switch connected to the S2 terminal is an optional switch and pushing it without changing the configuration parameters will not affect the status of the device. 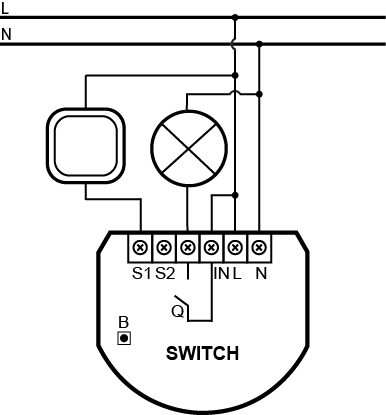 Functionality of the switches can be reversed by adjusting advanced parameter. FIBARO Relay Switch in 1st and 2nd group allows to control 5 regular and 5 multichannel devices per an association group. 3rd group is reserved solely for the controller and hence only 1 node can be assigned. FIBARO Relay Switch allows to customize its operation to user’s needs. The settings are available in the FIBARO interface as simple options that may be chosen by selecting the appropriate box. 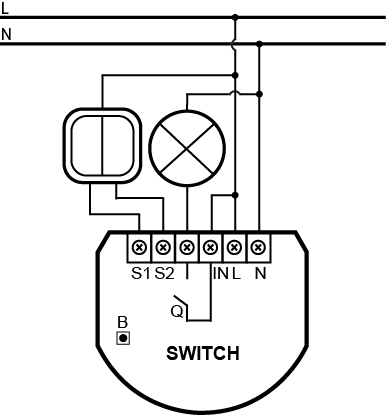 1.What is a Relay Switch module?